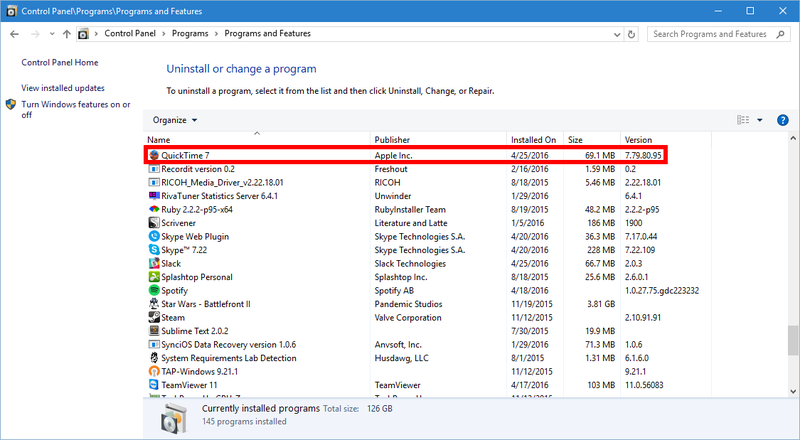 Apple's stopped supporting this program, so the time to uninstall it is now. 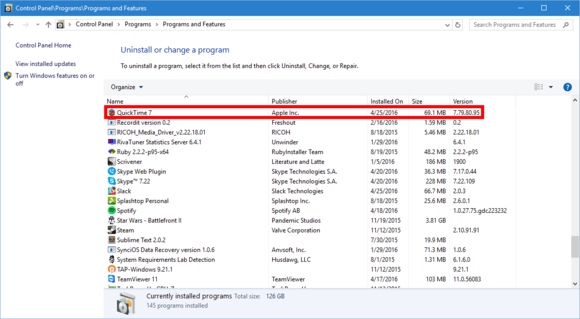 Apple recently recommended that all Windows users uninstall QuickTime software from their PCs. 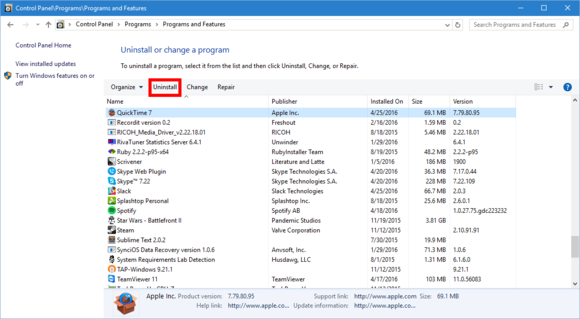 If you’re running QuickTime, here’s a quick primer on how to get rid of the program on Windows Vista or later. Why get rid of QuickTime? 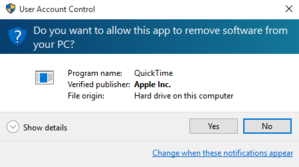 Apple decided to cease support for QuickTime on Windows after a security company discovered two critical flaws that could allow an attacker to run malicious code on PCs running QuickTime. The flaws will not be patched with an update. If you have QuickTime on your PC, the good news is you probably don’t need it anymore. Windows can run all the key Apple media formats that QuickTime could, and iTunes on Windows no longer requires the program. 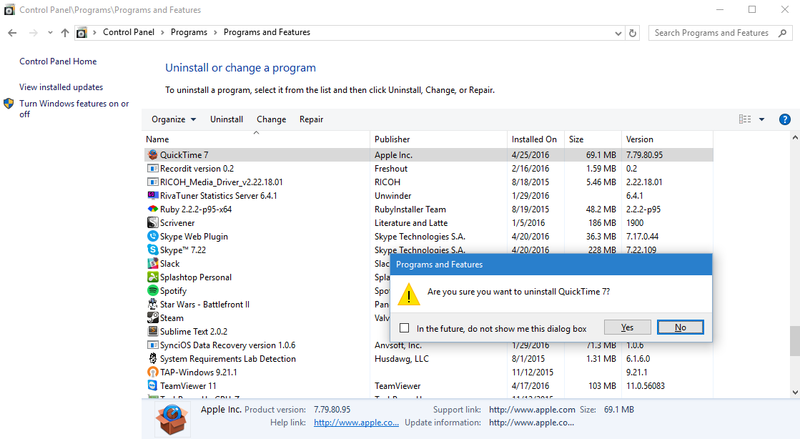 The only people who might need to keep QuickTime around are those running a third-party program that depends on it, such as Adobe’s video editing software Premiere Pro. To get started, you need to open the Control Panel. Windows Vista and 7 users will be able to find the Control Panel as an option after clicking Start. 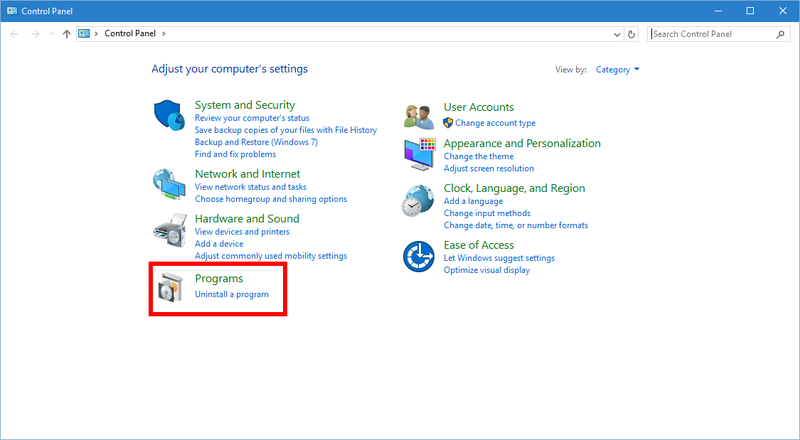 If you’re using Windows 8 or 8.1, Microsoft has instructions on how to open the Control Panel. For Windows 10, right-click the Start button in the lower left corner of your desktop and select Control Panel from the context menu. Put the Control Panel into Category view to start. Make sure the View by option in the upper right corner is set to Category. Now click Programs > Uninstall a program. 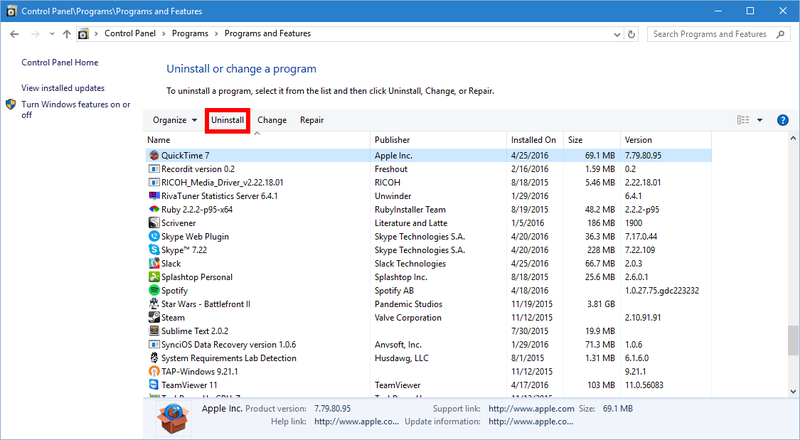 Find QuickTime in the installed programs list. On the next screen, you’ll see a list of all the programs installed on your PC, organized alphabetically. Scroll down until you find QuickTime and click it. 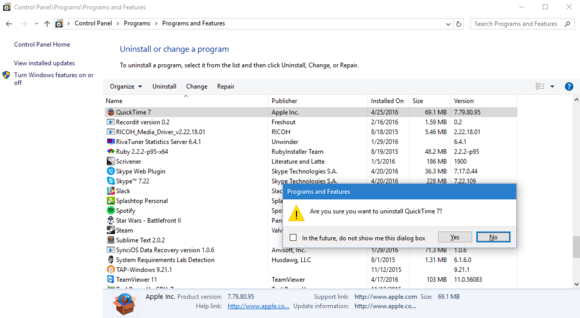 Click Uninstall to dump QuickTime from your PC. After you click QuickTime, a bunch of options will appear just above the list of programs. The option you want to select is Uninstall. Click Yes to confirm you want to uninstall QuickTime. Now, a pop-up window will appear asking you to confirm you want to uninstall QuickTime. Click Yes. If this pop-up window appears just click Yes. You may have to authorize Windows to continue the uninstall process via User Account Control (UAC). If that happens, just click Yes. Other than that, QuickTime should uninstall without a hitch. Now you can check off that vulnerability from your PC security list, but there are always more. Check out Nick Mediati's great feature on free security software for Windows to make sure you're safe from other potential threats.